THE PEOPLE’S REPUBLIC OF CHINA (PRC) continues to pursue a long-term, comprehensive military modernization program designed to improve the capacity of its armed forces to fight and win short-duration, high-intensity regional military conflict. Preparing for potential conflict in the Taiwan Strait appears to remain the principal focus and primary driver of China’s military investment. 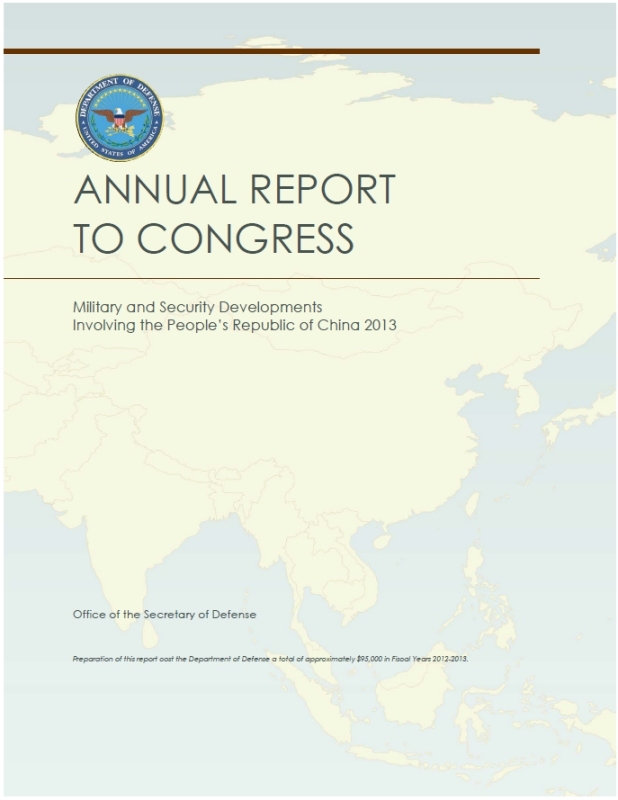 However, as China’s interests have grown and as it has gained greater influence in the international system, its military modernization has also become increasingly focused on investments in military capabilities to conduct a wider range of missions beyond its immediate territorial concerns, including counter-piracy, peacekeeping, humanitarian assistance/disaster relief, and regional military operations. Some of these missions and capabilities can address international security challenges, while others could serve more narrowly-defined PRC interests and objectives, including advancing territorial claims and building influence abroad. To support the Chinese People’s Liberation Army’s (PLA) expanding set of roles and missions, China’s leaders in 2012 sustained investment in advanced short- and medium-range conventional ballistic missiles, land-attack and anti-ship cruise missiles, counter-space weapons, and military cyberspace capabilities that appear designed to enable anti-access/area-denial (A2/AD) missions (what PLA strategists refer to as “counter-intervention operations”). The PLA also continued to improve capabilities in nuclear deterrence and long-range conventional strike; advanced fighter aircraft; limited regional power projection, with the commissioning of China’s first aircraft carrier, the Liaoning; integrated air defenses; undersea warfare; improved command and control; and more sophisticated training and exercises across China’s air, naval, and land forces. During their January 2011 summit, U.S. President Barack Obama and then-PRC President Hu Jintao jointly affirmed that a “healthy, stable, and reliable military-to-military relationship is an essential part of [their] shared vision for a positive, cooperative, and comprehensive U.S.-China relationship.” Within that framework, the U.S. Department of Defense seeks to build a military-to-military relationship with China that is sustained and substantive, while encouraging China to cooperate with the United States, our allies and partners, and the greater international community in the delivery of public goods. As the United States builds a stronger foundation for a military-to-military relationship with China, it also will continue to monitor China’s evolving military strategy, doctrine, and force development and encourage China to be more transparent about its military modernization program. In concert with its allies and partners, the United States will continue adapting its forces, posture, and operational concepts to maintain a stable and secure Asia-Pacific security environment.